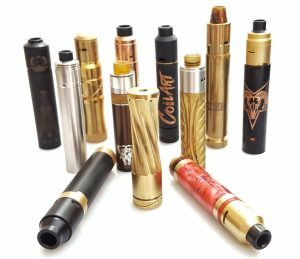 Mechanical mods – they’re just a tube right? 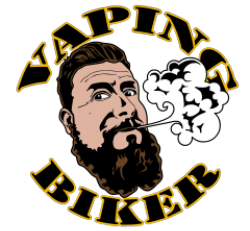 Hi, and welcome to another dubiously written article from the Vaping Biker! With another great batch of mechanical tube mods coming into the review queue, I wanted to make a quick post about some of the objections I encounter – before we even look at the device itself! One of the questions I get asked A LOT is ‘which hits harder, the ‘X’ or ‘Y’ mod, and in all honesty, with some of the mods coming to market these days it’s incredibly hard to tell, the next post I publish will have a tester I’ve thrown together to help with that. Another great couple of comments that I just can’t get enough of is ‘They’re all the same, they’re just a tube’ (This really isn’t the case), and ‘Why are they so expensive? !’ so I wanted to put something together to either give some useful indication of considerations with mechanical devices – or something to bore you to sleep if you’re having a few issues at night. One last one to clear up is ‘why use a mech when you can have a regulated device?’ – Let’s approach this one head on shall we? Mechs will not let you down. No solder points, no boards to go wrong, no screen to go wonky, and with proper upkeep will last forever. Yes, you do have to know what you’re doing with them, and yes the vape experience will decrease along with the power remaining in the battery, but the positives along with the rawness of the experience and the challenge of getting your build just right to perform how you like it means that mechanicals will always have a very strong following. Mechs are also NOT just for snapback wearing cloudy oiks, I probably know nearly as many high-ohm builders that love mechs as I do low-ohm cloud-botherers. Anyway, let’s get into the guts of this article shall we? Why are they so expensive? It’s just a tube right? 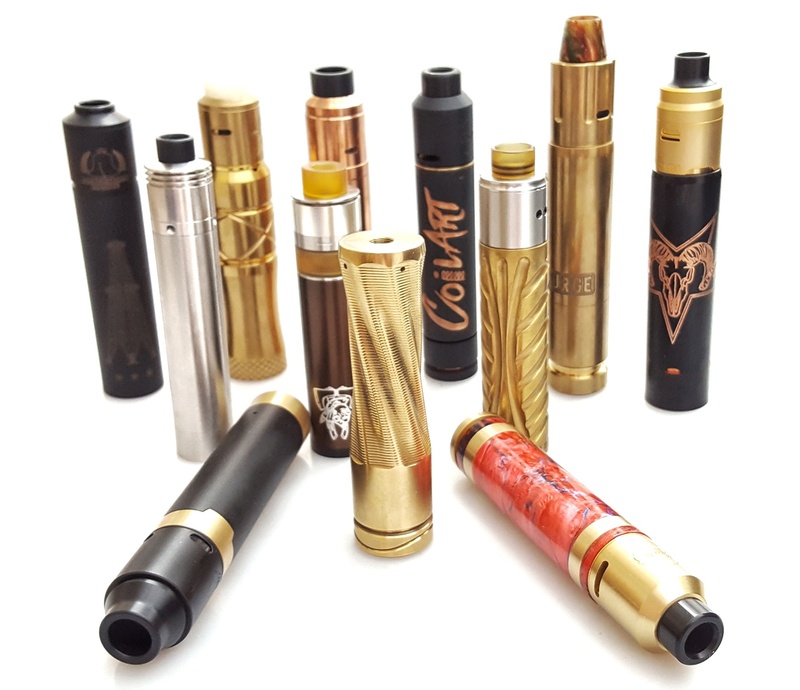 I’m not going to go heavily into what makes a mechanical mod the value that it’s sold at because of the huge variation in the market, what I will briefly discuss though is that there is so much more involved to bring a mod to market – which must be factored into the costs which are often overlooked. Design (and being original here is tough! ), the 3 main elements of the top connection, tube, and button, all need to have the original drawing, CAD (Computer Aided Design) 2D and 3D development, and manufacturing engineering drawings – this is NOT a plug and play process as any CAD designer will tell you! Prototyping (which is astronomical in costs if outsourced) of which there are often many. Machinery (lathes and tooling are not cheap – or small!). Small batch production to test the design – often over the course of months of going back to the start and ‘tweaking’ the design. Setting up a company and all the incurred costs. Essentially, while some huge companies in China have the weight behind them as well as finances to streamline the above process to bring a product to market quicker, smaller companies in other countries have a huge drain just to get a product onto a website – and let’s not forget, people don’t provide you a mod out of the goodness of their heart, so if it’s their main job or not, they have to get paid for their time. We also know that different countries differ in minimum wages, manpower, and availability of core materials and the latter is another point to think about. Is a copper mod the same as brass/aluminium/SS?? Brass/Copper/SS/Aluminium – and the grade of material used. In the example of Brass, it’s an alloy of mainly copper and zinc, often in good mechs ‘Naval Brass’ is used, however, as far as I know there is approximately 26 different variations of the alloy which will all have slightly different compositions. Hopefully when you think of this being the case with brass, and factor in that there are similar options with the other materials, no, not all ‘metal’ mechs are the same! The type and material of button and resistance of that itself – this is often thought of as the most important part of a mod because this is what completes the positive/negative electrical circuit. In my opinion, this is one area that has developed the most within the mech world over the last 2 or 3 years. Clutch systems, magnets, and springs, all have been incredibly well developed of late giving us a LOT more options, and most have their ‘for’ and ‘against’ arguments. Hopefully, all the information above has given you some indication as to why this is so difficult to answer, but there is more to it – I warned you it wasn’t easy! You will hear reviewers(myself included), buddies, facebook groups say ‘This mod hits HARD’ meaning that it has a noticeably low internal resistance in providing the atomiser with power, and particularly the cloudier of questioners will want to know what is going to get them the most magnificent cloudage for their hard earned money – and if you are one of those people it’s understandable that you want something that works well. Only a handful of years ago, it was a lot easier to tell the difference between mechs, with dodgy buttons sometimes leading to the ‘hot-button’ experience, suspect threading, and rubbish connections, telling the difference between a good one and a bad one was considerably more obvious than it is currently. These days and with the progression in everything mentioned earlier in this article, and more of an awareness of the importance of low internal resistance of a mod, some manufacturers are designing their mechs for specific purposes and minimum Ω builds, occasionally referred to as a ‘competition mod’ built with low resistance and the capability of low Ω builds in mind. – this may not mean that it is the best as this will be down to the honesty and testing of the manufacturer, but certainly something to be aware of. Measuring the effectivity of a mod, the lack of that internal resistance, and actually how efficiently it performs is quite difficult. Yes you can get volt meters out and measure the tube, the button, and so on and this will give you a great bank of information, but it is by no means ‘finite’, because once you get to that level, you then have to factor in the atomiser used and internal resistance of that – even before you start thinking about the type of coil, the type of wire, and Ω of it – and lets not forget, there is also the little matter of different batteries ‘sagging’ under different loads to vastly different amounts. Some mechanical devices will have a noticeable drop in performance, and some will surprise the user by performing extremely well, but to tell the difference of two particularly high end and very precisely made mods of the same material is very very tough indeed. On occasions a healthy dose of a certain logo or loyalty to a brand adding a placebo-like effect will without a doubt make some individuals a bit more vocal than others whereas in reality the real world difference may be an almost unnoticeable increase or decrease of a watt or two. So what can I do to find out what works well? When it comes to us reviewer-types, unless you’re one the fantastic DJLSB or Phil Busardo’s of this world with the knowledge and equipment to accurately measure these things, we can only give you our opinion in relation to the products we test, and as with anything, it’s always way more constructive from your point of view to watch a variety of opinions on a product that tickles your nether-regions. Without wishing to pee on anyone’s party, I think it is difficult for someone that’s not used a handful of similar devices previously to decree that anything is a ‘hard hitter’, this will come with time and experience. To give some kind of pictorial representation of what I do, I’ve thrown together a super basic tester which I’ll discuss in the next post. This is in no way meant to produce highly accurate figures to be used in their own right, but merely a way of making a real world comparison of devices I’m reviewing from this point on. It’s going to be interesting to see if the numbers match the experience I get! Essentially, to answer the original objections, if you have an idea and think you can do just as good a job producing a product with a cheaper end result – GO FOR IT – your new career awaits! Previous Post: Sneaky regulation or unhappy coincidence? Next Post: My Mod Tester – how it’s made..
hey great article, thanks for posting iv learnt alot from reading this. i’ve use hyon sicario that use ss material, but i feel its firing hard, but more instant than my pyra brass by rnv, even though my hyon was’nt hybrid mech. Solid article, very useful and gives thinking. Thank you mate. Good article mate, I think the more laymans term videos on YouTube there are about ohms law the better! Do a simple down to earth one and it’ll be a winner. For a big hairy biker you are surprisingly articulate. I enjoyed reading that. As a collector myself, im more interest in new and innovative buttons, but you right so much is riding on how hard it hits, even surpassing build quality. The stand out tube for me has been my Broadside, mainly cos it has a fixed button and a 510 pin. Also my Hyon family, for a 303ss mech it allows me to get as much out of my battery as the copper broadside . Biggest let down has been my Danesa, I find myself swapping batteries long before they are considered dead, 3.8v whereas the Broadside and Hyon regularly allow me to get below 3.3v before the vape notable suffers. Cheers Dean. I shall be a regular on your page now ive found it. Great article Dean, the amount of information you have covered while keeping it simple and easy to understand is awesome and very well done.